The E-one Crashtender came into service in 2003. It's part of a large order from the ministry of Defence and Amsterdam Airport. 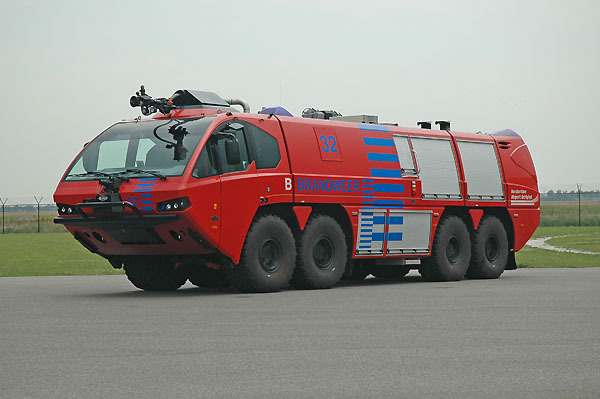 This crashtender is built on a chassis Titan HPR G, and the bodywork is from Plastisol. Pump capacity 7900 l/m low pressure, 250 high pressure, Tank 12.150 litres of water, 750 litres of foam, 250 kg powder. Added by DOUGLAS CORONADO FIGUEROA on 10 June 2008.